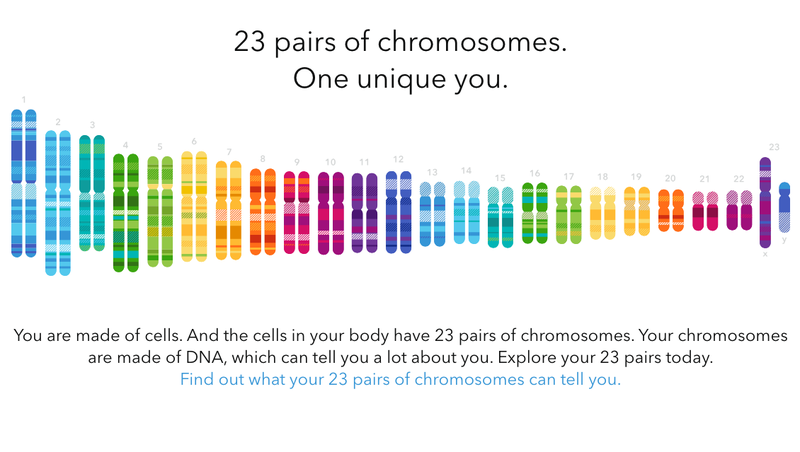 DNA testing site 23andMe is suing its biggest rival, Ancestry.com. In the suit, filed earlier this month in a California federal district court, 23andme accuses Ancestry.com of patent infringement and false advertising. Interestingly, 23andme is also pushing back against Ancestry.com’s trademark of the word “Ancestry.” It argues the term is too generic to qualify for trademark protection. Central to the suit is 23andMe’s claim that Ancestry.com infringed upon its patent for analyzing customer DNA. The patent describes a specific method of identifying shared regions of DNA between a customer and potential family members. As Wired notes, however, the method, called “identical by descent,” is very common in genealogy studies. “This is a super ubiquitous technique that’s been around for a long time,” Alicia R. Martin, a genetics researcher at the Broad Institute, told Wired. 23andMe’s lawsuit also accuses Ancestry.com of deceptive advertising. The complaint includes a screenshot from a Ancestry.com page advertising it provides “[five times] more regions than other DNA tests.” The lawsuit claims the headline is likely to mislead customers into believing Ancestry.com provides five times as many regions as 23andMe. Fine print later added to the page explains that the figure compares Ancestry.com to services like MyHeritage and Family Tree DNA. An archived version of the Ancestry.com page.